It was all or nothing on the Bound For Glory go-home show! Well, would you look at that. It's Bound For Glory 2018 weekend. If you're still one of those that calls the product boring just because it's under the Impact banner, you're one of just a few left. The company has improved in massive amounts throughout the year, thanks in part to a number of the world's top talents being brought in to gain some new recognition for Impact. 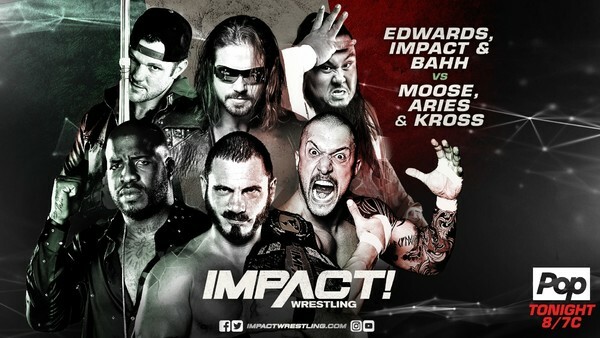 Between a four way X Division showcase kicking off the show, a six man tag team match featuring the participants of two of the main matches at Bound For Glory, and the ceasefire coming to and between the LAX and the OGz, this was one of the most enjoyable episodes of Impact all year. It was the sort of thing that you would expect to see in the olden days, when it was still technically classed as the second biggest promotion in the world. The only overly bad section to the episode was a match between the Desi Hit Squad. Apparently they're over being tag partners now? Even this didn't put that much of a downer on the evening.